In “Passengers,” a 2016 science-fiction thriller film two space travelers wake up 90 years too soon from an induced hibernation on board a spaceship bound for a new planet. From “Aliens” to “Interstellar,” Hollywood has long used suspended animation to overcome the difficulties of deep space travel, but the once-fanciful sci-fi staple is becoming scientific fact. The theory is that a hibernating crew could stay alive over vast cosmic distances, requiring little food, hydration or living space, potentially slashing the costs of interstellar missions and eradicating the boredom of space travel. But the technology has always been unattainable outside the fertile imaginations of filmmakers from Woody Allen and Ridley Scott to James Cameron and Christopher Nolan—until now. Atlanta-based Spaceworks Enterprises is using a $500,000 grant from NASA to leverage techniques used on brain trauma and heart attack patients to develop “low metabolic stasis” for missions to Mars and the asteroid belt. 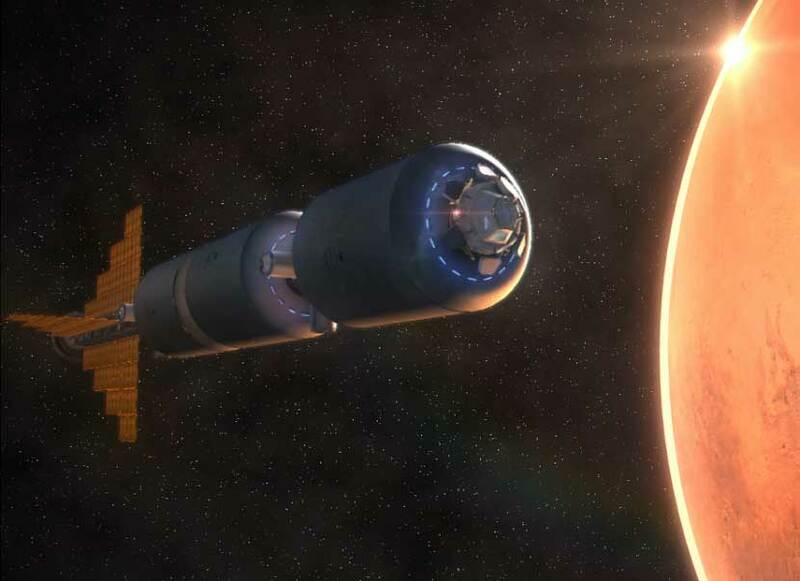 “It takes about six months to get out to Mars… There are a lot of demands, a lot of support equipment required to keep people alive even during that period,” said SpaceWorks CEO John Bradford. The aerospace engineer told a panel in Los Angeles marking the release Wednesday of “Passengers,” the latest movie to explore suspended animation, that his company was adapting the medical technique of induced hypothermia to astronautics. Hospitals lower the core temperature of trauma patients by around 10 degrees Farenheit (12C) to achieve a 70 percent reduction in metabolism, although they are “shut down” for a couple of days rather than the months astronauts would need. “We’re evaluating it. We think it’s medically possible,” Bradford told journalists. Morten Tyldum’s “Passengers” stars Chris Pratt and Jennifer Lawrence as strangers on a 120-year journey to the distant colony of Homestead II when their hibernation pods wake them 90 years too early. While the research being done by SpaceWorks could make 180-day journeys to Mars much more affordable, the technology is not capable—not yet—of extending human life to allow for the thousands of years required to reach our next nearest star. Even at the relatively small Mars-like distances, “induced torpor” is not without its challenges, says Bradford, especially on short missions where astronauts have little time to recover after being woken from stasis. For deep space travel to be possible the astronauts would need to be in some form of suspended animation as a hibernating crew would require little food, hydration or living space. “Passengers” screenwriter Jon Spaihts says he found himself running into tensions between the dramatic requirements of the movie and “hard science” when it came to designing his hibernation pods. Neither induced torpor nor any of its most realistic alternatives are “states in which Sleeping Beauty in her bed would look particularly gorgeous,” he said. The idea of finding a sufficiently Earthlike planet or moon in the sterile vastness of space is another problem on which science has made giant progress in recent years. Before 1989 humanity was aware of just nine planets in the universe—those orbiting our own sun—but scientists have since identified some 3,545 “exoplanets” in 2,660 solar systems. “To have kids wake up these days and think there are thousands and thousands of planets out there, that’s a crazy thing to grow up with—knowing there’s probably life on these distant worlds,” said Tiffany Kataria, a weather specialist at NASA’s Jet Propulsion Laboratory in Pasadena, California. NASA says the Transiting Exoplanet Survey Satellite, launching in 12 months, will seek out yet more new worlds among the galaxy’s brightest stars, where the discovery of Earthling-friendly planets is deemed more likely. A year later, the James Webb Space Telescope will launch on a mission to provide the clearest picture yet of the chemical composition of interesting exoplanets. So what are the odds of finding a planet with the right atmosphere, roughly the same gravity and protection from radiation—a real-life version of the Homestead II depicted in “Passengers?” “We simply don’t know. It must be out there,” says Kataria.